Author James McKimmey’s debut novel, “Perfect Victim”, was released by Dell Books in 1957. 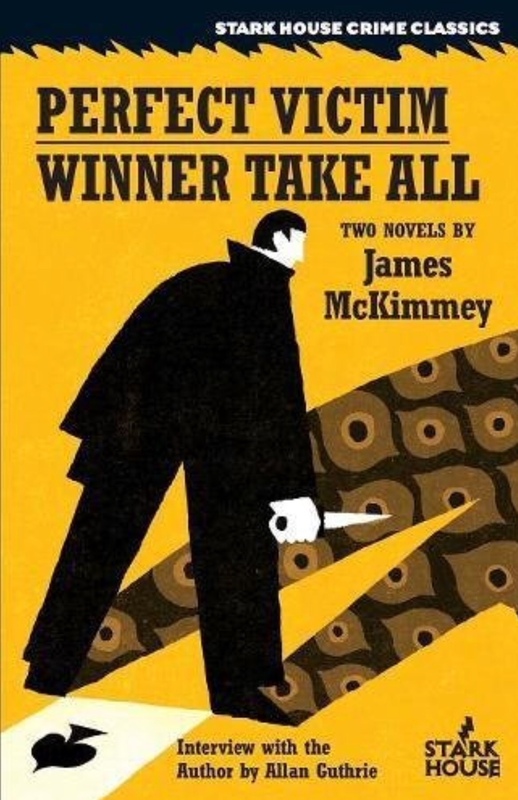 Its re-issue is presented by Stark House as a two-in-one featuring his second novel, “Winner Take All”, and a 2004 interview conducted by Scottish author and editor Allan Guthrie. McKimmey would later go on to write numerous genre entries including westerns and science-fiction until his passing in 2011. “Perfect Victim” embodies the small-town spirit of earlier works like “Winesburg, Ohio” (1919), “A Tree Grows in Brooklyn” (1943) and the essential “Our Town” (1938). It’s setting is the tiny midwestern town of Willow Creek. McKimmey introduces us to several characters including the stereo-typical cast of journalist, sheriff, banker, bully and waitress. At the heart of the matter is the mysterious murder of the town beauty, young waitress Grace. While the reader isn’t asking who done it (we were voyeurs on the scene), the rest of Willow Creek is. 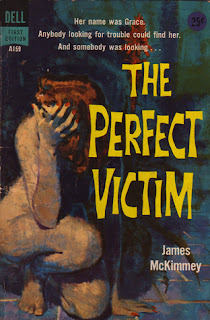 Like many books and shorts of this style, the real essence of “Perfect Victim” is exposing the good-hearted with the bad intentions. Hardly anyone is particularly wholesome, including the fingered guy – a traveling salesman who’s innocent but immoral. The only protagonist is the media (by design? ), represented by the admirable George Cary. At 135-pages of physical media, this isn’t a hard-boiled or detective piece. It’s labeled as “crime” but it’s loosely a human exam on small town’s dark crevices. There’s a murder, a body and a small dose of procedure. The book’s closing pages has a dark and violent orchestration amidst a fiery, noose-hungry town. McKimmey brings us full circle from retribution to salvation in this quality, albeit simple, effort.